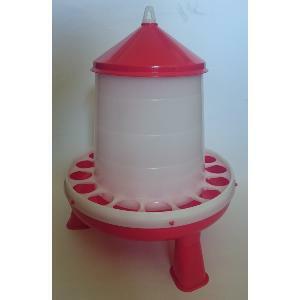 This Stockshop 4kg Red and White Feeder with legs has a simple locking base. The 3 feet simply click into the base. Can also be hung.